It’s a dirty little secret that grandmothers are über competitive. They’ll put on a good show and politely share their precious grandbabies with that other grandma, but you know they wish they didn’t have to. So at Christmastime what do you get for the grandmas who have everything, and you don’t want one of them to upstage the other at the next birthday party or family gathering? You give them the same gift. Genius. 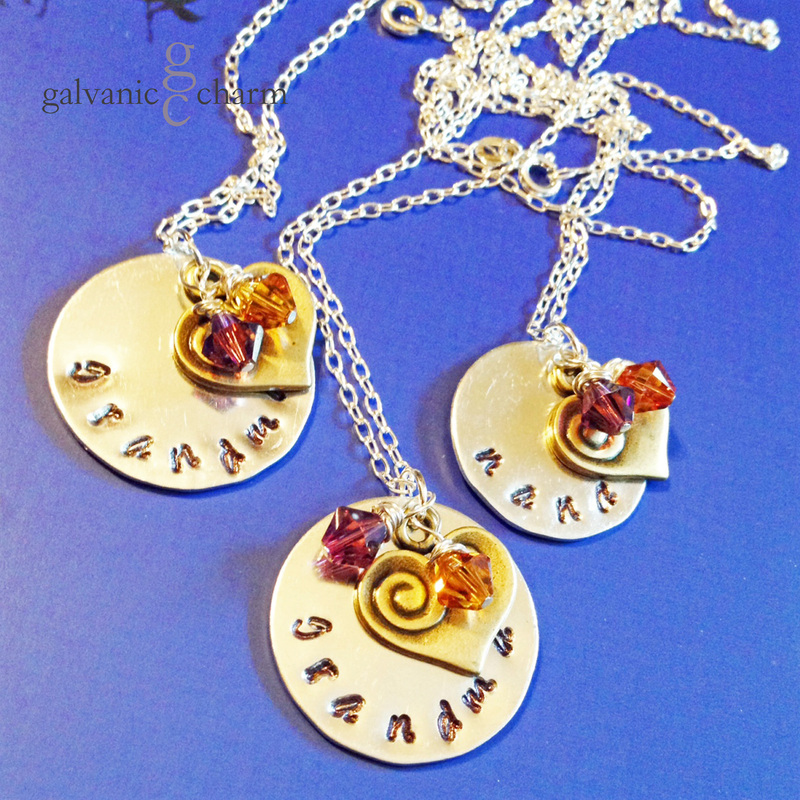 GRANDMAS – Grandmother’s necklace with hand-stamped nickel silver circle. 3mm Bridgette font. Brass heart charm and Swarovski crystal birthstone drops. Pictured with amethyst (February) and topaz (November). 18″ silver filled light cable chain. $30 as shown. Available directly or on Etsy.